Rick Wershe’s 2016 holidays had to be the best he’s had in a long time. He got word the Michigan Parole Board is accelerating the timetable for consideration of parole for him. This is his 29th year in prison. He was due for routine consideration in December. That’s been moved up to February. He told me he’s amazed at how fast things are moving. Here’s what’s happening and how you might be able to help. 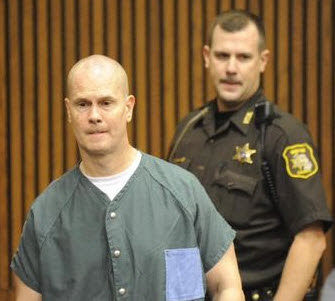 Richard J. Wershe, Jr. has been a political prisoner in Michigan for a very long time. Twenty-eight years so far and he’s entering the 29th. For those new to the story, here’s a recap: Rick was recruited by the FBI to become a drug informant at the tender age of 14 because he knew and was trusted by a politically-connected drug dealing family on Detroit’s east side. He helped the feds get indictments, and more. He told them about the possible corruption of Detroit Police Inspector Gil Hill, now deceased, who was the head of the Homicide unit and a local celebrity thanks to a small part in the Eddie Murphy movie Beverly Hills Cop. When the feds got what they needed for the drug case, they dropped Wershe as a paid informant. He was then a school dropout with nowhere to turn, no family to back him up and no viable trade. So, he turned to the trade the police taught him. He started slinging dope and tried, unsuccessfully, to become a big-time drug wholesaler. He got caught by the Detroit Police and a pair of DEA agents and he was sentenced to life in prison. No one came to his aid for a variety of unsavory reasons that make law enforcement look like less than the good guys. He is believed to be Michigan’s longest-serving juvenile offender convicted for a non-violent crime. The FBI and U.S. Justice Department never made a case against Gil Hill, although they certainly tried and he knew it. Convicted and admitted drug dealer Johnnie Curry eventually told the FBI he paid Gil Hill $10,000 to make a murder investigation go away. It involved the inadvertent murder of a 13-year old Detroit boy by members of the Current drug gang. Curry admitted this to FBI agents not once, but twice. The late Gil Hill. Admitted and convicted drug dealer Johnnie Curry told FBI agents he paid Hill $10,000 to thwart a murder investigation linked to the Curry drug gang. Even so, neither the Wayne County Prosecutor’s Office nor the U.S. Justice Department charged Hill with obstruction of justice or the violation of the civil rights of murder victim Damion Lucas. No one in the criminal “justice” system wanted to bring charges against a black celebrity, especially a black police celebrity, in a city like Detroit. Rick Wershe was a nobody. An expendable throwaway. He didn’t have Gil Hill’s political clout. Wershe was thrown to the wolves and Hill made sure the wolves kept after him with a life prison sentence that’s been doled out five years at a time. Hill died last year. Little wonder, then, that some in the Detroit Police, the Wayne County Prosecutor’s Office and more than a few local and state appellate judges are in the pocket of bribe-paying or politically-connected gangsters and perfectly willing to keep Rick Wershe, Jr. in prison for natural life, if possible if that's what their corrupt pals want. Wershe has two federal civil rights lawsuits in play over his unusual punishment, which is prohibited by the Eighth Amendment to the Constitution. The gist of his argument is he has been treated differently than everyone else in the Michigan prison system. He is the only known non-violent drug offender convicted as a juvenile who is still in prison. All the others have been re-sentenced and released. Last month Wershe’s lawyers filed what is known as a motion for a writ of habeas corpus in Detroit federal court. This legal maneuver is intended to force prosecutors, police and prison administrators to demonstrate to a judge why they are holding a prisoner when there is reason to question whether he is being held unreasonably and in violation of his Constitutional rights. The motion for a writ of habeas corpus appears to be one court fight too many for the State of Michigan in regard to Rick Wershe. The Michigan Attorney General, by law, represents the Michigan Department of Corrections when it is sued, as it has been in the habeas corpus case. The Attorney General’s office already represents the Department of Corrections in a pending civil rights case Wershe has filed in federal court in Grand Rapids, which has jurisdiction over the prison where he is incarcerated. The Grand Rapids case appears stalled because the assigned judge doesn’t want to be bothered with a prisoner rights’ case. The habeas corpus motion is a horse of a different color. It forces the State of Michigan to convince a federal judge that they are holding Wershe properly. It requires an open court airing of the facts of the Wershe case. That’s something the “system” wants to avoid at all costs because Wershe’s reputation as a drug “kingpin” and “drug lord” is a police/prosecution fabrication aided and abetted by a gullible, headline-hungry news media that has never investigated the basis for the legend of White Boy Rick, Wershe’s media nickname. Less than a week after the filing of the motion for a writ of habeas corpus, the Michigan Parole Board announced it was going to review the Wershe case for possible parole. He was due for a routine parole review in 2017, but not until December. All of sudden, the Parole Board has moved up the timetable—significantly. I spoke with Rick last week and he said the Corrections Department had just completed his PER—Parole Eligibility Report. He was amazed at how fast things are moving now. Wershe says he’s never seen the system move so fast on a parole case, and he’s been watching the system from the inside for 28 years. Sonia Amos-Warchock, a member of the 10-member Michigan Parole Board, will interview Wershe on February 13th. This will be a formal session. Rick’s lawyer, Ralph Musilli, will be present, along with a pair of parole consultants helping Rick navigate the process. After the interview, Ms. Amos-Warchock will prepare a report she will share with the rest of the Parole Board. The board will then vote whether to consider Rick Wershe for parole. If a majority votes “Yes”, this will trigger a notice of a formal public hearing. The hearing notice must be posted twice, thirty days apart, by law. In a “lifer” case a public hearing is mandatory. The hearing might be an opportunity to finally air the dirty laundry of the Richard Wershe, Jr. case, with witnesses and exhibits. Or it could be very, very brief. The Board could open the hearing, announce they have reviewed his case, and they have voted to parole Rick Wershe. Done. Fini. It could be all over in a matter of minutes. This is where you could help. No matter what happens with the public hearing, it will be quite helpful if Rick Wershe’s many supporters show up; a show of public support that the Parole Board cannot ignore. Fill the joint to standing-room-only. Let the Board know there are plenty of people who think this guy deserves a second chance. We don’t know the location, date or time yet, but there will be plenty of advanced notice. The best guess is the Parole Board wants to grant a parole and get the Wershe case out of the system no later than the end of May. They are due in Detroit federal court in June to present their case against Wershe and it’s logical to think they want this case behind them before June shows up on the calendar. Over time many people have asked what they can do to help Rick Wershe. Taking the time to stand up—literally—for Wershe at his long-sought parole hearing would be a powerful way to help him end this nightmarish, life-sapping ordeal. If things go Rick Wershe’s way, if he finally gets some justice, it may happen in the spring of 2017.